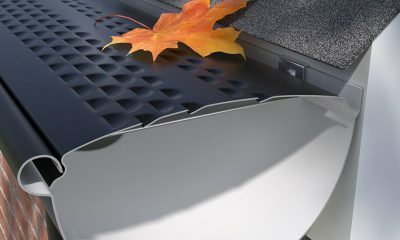 This cover works with all gutter systems, and installs between shingles, fastening into the top front of the gutter with stainless zip screws provided. 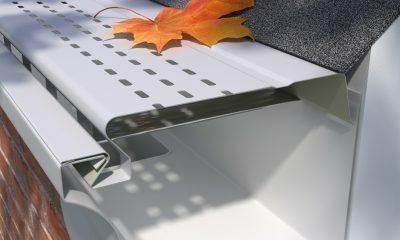 It features 6 rows of our patented reverse-louvers, and bends to conform to the pitch of the roof and the fall of the gutter. Water drops into the gutter and debris slides over the front of the gutter. 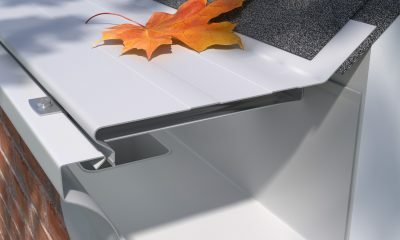 E-Z-Slide comes in 4 foot lengths and 5″ or 6″ widths. Screws to the front of the gutter — a more permanent method. 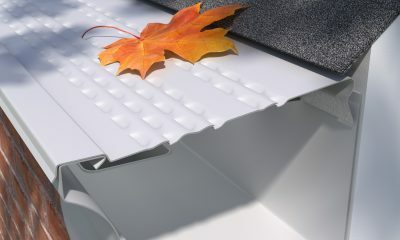 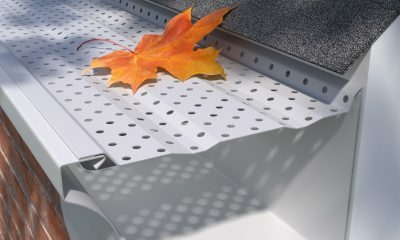 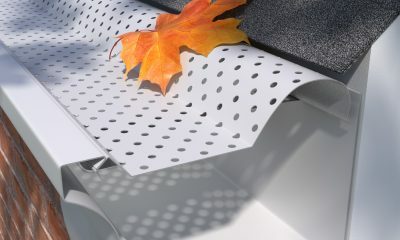 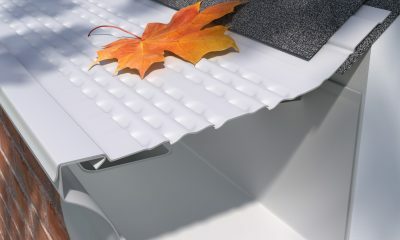  Like all gutter protection products, depending on your debris type and load, E-Z-Slide will require maintenance from time to time, by brushing off the top of the panels.